The College Band Directors National Association (CBDNA) has selected 8 collegiate marching band programs that they will feature at their National Conference March 16-18 in Kansas City, Mo. The bands are chosen by a jury that evaluates all of the submitted performances from around the country. We have confirmed seven of the bands that were selected Inclusi the Fresno State Bulldog Marching Band, University of Illinois Marching Illini, The Pride of Oklahoma, The University of South Carolina Marching Band, the West Chester University Incomparable Golden Rams Marching Band, the Baylor University Golden Wave Band, LSU Golden Band from Tiger Land and the University of Arkansas Razorback Marching Band. Barry Houser, Director of the Marching Illini told CollegeMarching.com that "it is an absolute honor that our students in the Marching Illini are being recognized along with 7 additional collegiate marching bands for their performance excellence by CBDNA." One of those other bands is the Fresno State Bulldog Marching Band which is one of the most exciting band programs in the country that has to do more with less. The programs will have a selected halftime show featured at the conference allowing fellow marching band directors to enjoy their performances and learn from their work. The Fresno State Band will feature their performance of the Broadway show "Wicked". If you love the Broadway show you'll love their performance. You can watch it at the end of this article. 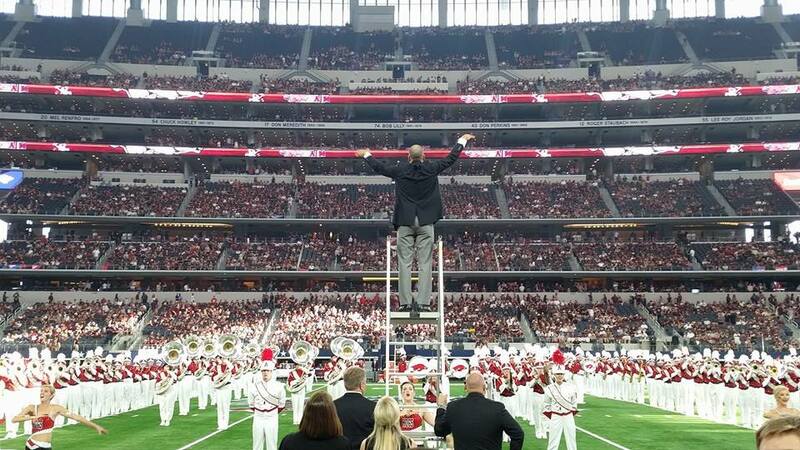 "Being selected to present at CBDNA along side some of the best marching bands in the country is a big honor for us," Said Dr. Ben Lorenzo Director of the Arkansas Razorback Marching Band. "We are excited to share the dedicated work of our students and staff at the conference." This summer the CBDNA Athletic Bands conference will take place at the University of Massachusetts-Amherst where college marching band directors will once again convene to share tips and tricks about the trade.